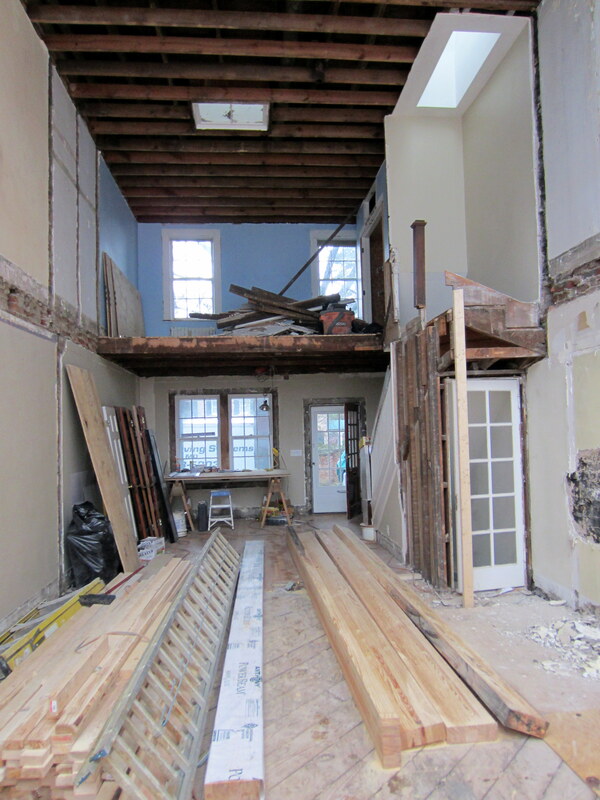 Now that the project’s complete, we thought a repost of the house at the height of demolition would provide some interesting retrospective context in advance of the “after” photos. The photo below is during the penultimate step of demo. 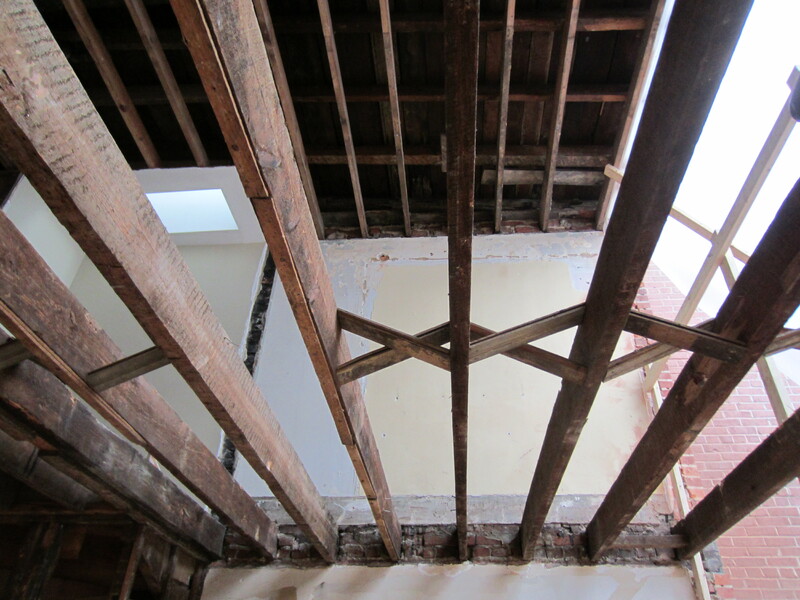 It’s a view from what used to be the dining room, through what used to be the master bedroom floor, to the exposed rafters. The skylight to the left is above the stairs, and will remain (although it’s not original to the house, like the one in the center, above the old bathroom).